Former member of "Mframa" group in the early 2000, Dada Hafco has disclosed that, his Yebewu Nti Yenda song has been his breakthrough so far. 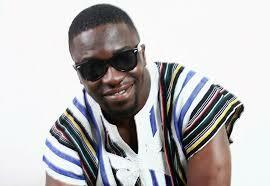 Born Terry Asare Boamah, he believes the song that shaped him into the limelight proper is Yebewu Nti Yenda. The Highlife Artiste in an exclusive interview with Remedi Entertainment said, he is satisfied with the response he is getting with his song "Yebewu nti Yenda". "The feedback has been impressive, love from DJs and Industry players has been good. The general public has accepted the song" - he said. In a mild way, he explains that, he isn't that much of satisfaction because the song has not gotten to the top as expected and that he is looking forward for the song to hit highest exteem. Speaking on awards, he made mention of receiving nomination four times in the Eastern Music Awards and is yet to see Ghana Music Awards as well as 3Music Awards nominating him for his genre of music. Heading to festive season, Dada Hafco made mention of playing several shows and ready to release good Highlife Songs.